THMS-PPI Series Inverters now availabLe with Remote Control option! 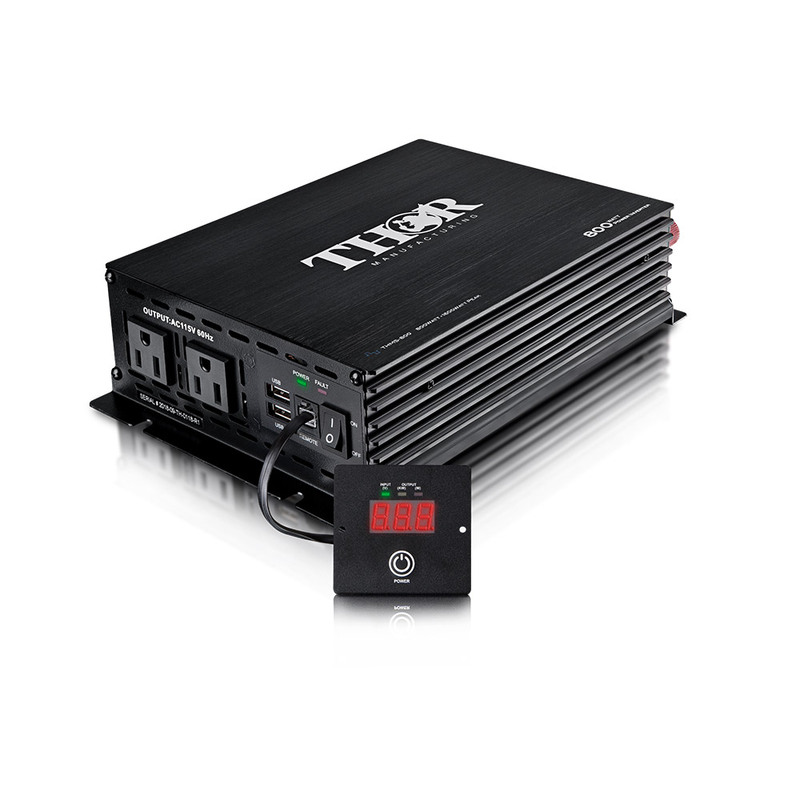 THOR Manufacturing, a leading manufacturer of portable power inverters for consumer and industrial markets. 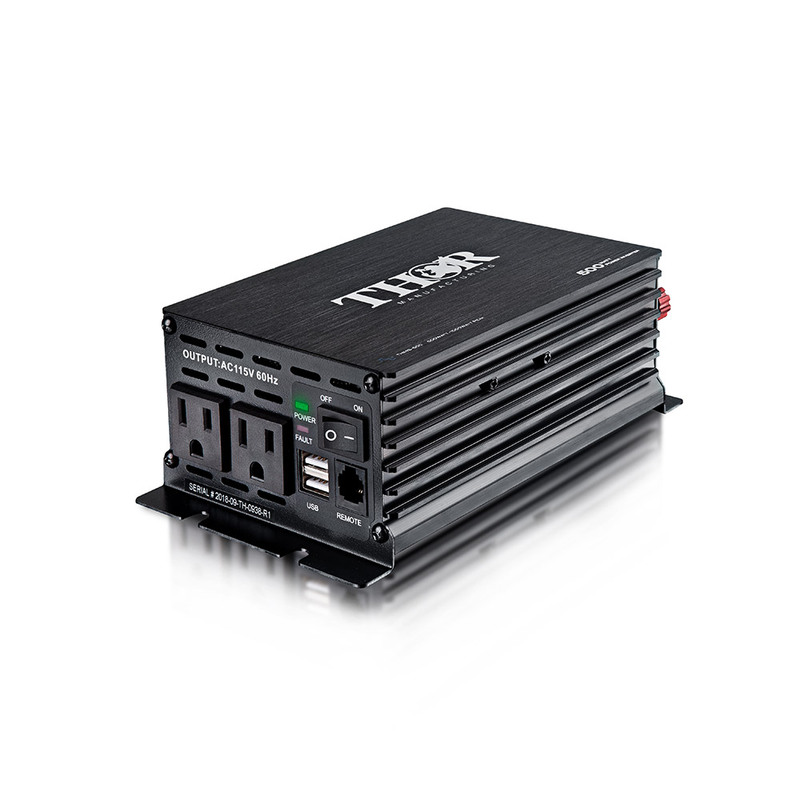 Their THMS-PPI Series, portable power inverter line will be replacing two existing models. Newly designed for 2019, THMS-500-PPI and THMS800-PPI, boast an incredible set of innovative new features including the compatibility of existing THOR remote control options and accessories. The development team at THOR Manufacturing realized that there was a big gap in the marketplace for mobile offices where space is at a premium. The new remote-control feature enables the inverter to be mounted out of site from the main vehicle compartment, allowing the small remote faceplate to take up far less space. Safety and reliability are paramount at THOR Manufacturing so the Engineering Team has left no stone unturned when it comes to the important qualities customers have come to expect with the robust line of portable power inverters. Optional remote with Error Code Display. Inverter will automatically shut down if load exceeds inverter rating. 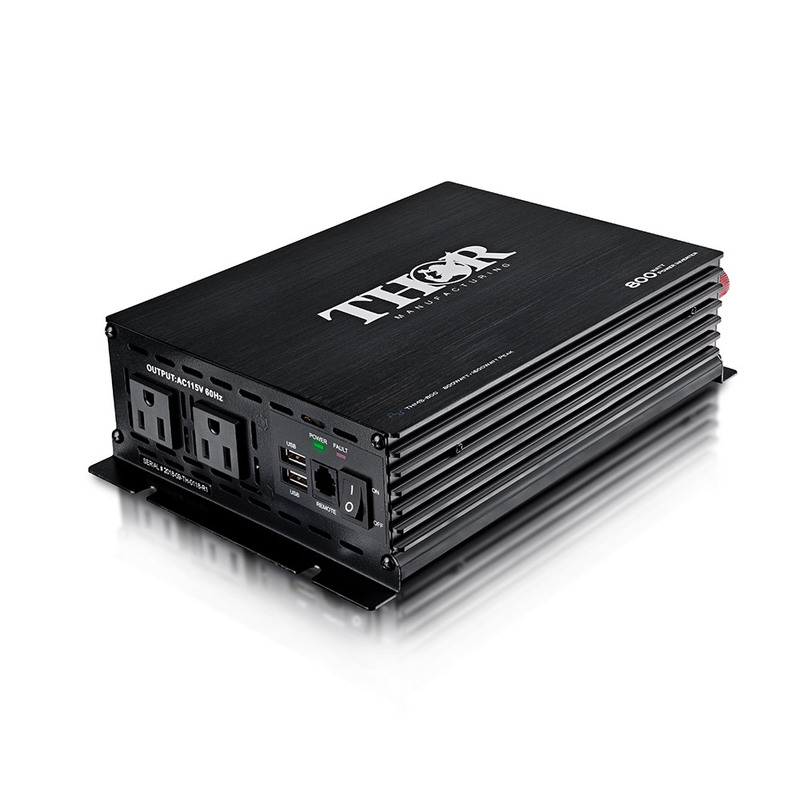 Inverter will attempt to start loads above the continuous rating for up to 10 seconds. Whenever the input exceeds 16 volts DC or is less than 9.5 volts, the inverter will automatically shut-down. Automatically shuts down until short circuit is removed. Automatically shuts down if internal temperature exceeds safe design parameters. Presents error codes to identify warnings quickly and easily. **Remote Control sold separately. Available as a complete installation kit. 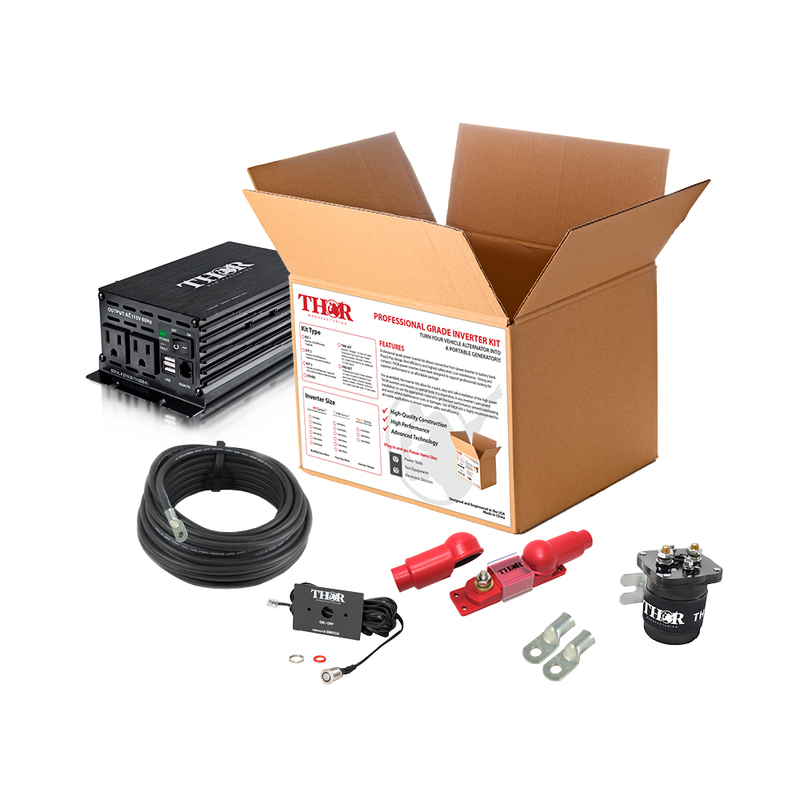 Inverter with THOR remote with 10 ft of 4 Awg cable and lugs! Inverter with THOR remote,10 ft of 4 Awg cable, lugs and correct Amp fuse with block! Inverter with THOR remote,10 ft of 4 Awg cable, lugs and correct Amp fuse with block and correct Amp Isolator!